Stella Artois or Canadian—which is the better beer? That is not the question. I’m not talking about corporate sponsors. I’m talking about beer. rent’s version of religious upbringing. Canada also has over 500 types of beers (or brewskis as many Canadians say). The most esteemed, or some may say notorious, are the IPAs (Imperial Pale Ales). The IBU (International Bitterness Unit)—yes, it’s really a thing—is how one identifies the bitterness of IPAs, or any beers for that matter. The IPA is bitter, the double IPA is really bitter, and the fresh hopped IPA will cause you run to the washroom if you drink it too fast. So if Canada’s most venerated beer is to some unpalatable, and Belgian’s most highly regarded beer is a divine beer brewed by holy monks, who would have the audacity to say Canadian beer is the best? I would. 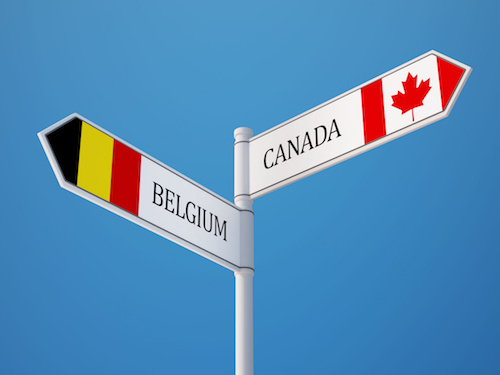 A man that is both Belgian and Canadian; however, after this article, I wouldn’t be surprised if the embassy revokes my Belgian passport. So when did I decide that Canadian beers were better? Well, it wasn’t when I tried Canadian versions of Belgian beers. Belgian Blondes, Brunes, and White Ales are better left to the Belgians; however, I must admit, the Canadian Sours by Main Street Brewing (Vancouver, BC) and Parallel 49 (Vancouver, BC) rival the Belgian Sours. And Four Winds’ Eurus series has Saisons and Triples that are easily as delicious as some of my favourite German Saisons and Belgian Triples. The day I realized Canadian beers were the best, was when I went back to Belgium. The IPA, bitter-obsessed craze made its way to Europe. Duvel, one of my favourite beers, created an extra hoppy version. The beer was terrible. Duvel should have known that you can’t ameliorate what has already been mastered. Canadian microbreweries, on the other hand, don’t have hundreds of years of tradition that cannot and should not change. Canada is young. We’re still discovering our culture and our beer. I realized this when the Summer sun made its rare and celebrated appearance in Tofino, BC. Even though I enjoy Tofino most in the Winters when the waves belong to the locals, the Summers epitomize Canada. When I stepped into the Tofino Brewery (Tofino, BC), I heard various languages. I saw people that radiated affluence, others that took pride in their nomadic, hippy ways; people that you usually wouldn’t think to see together, but here, everyone was united. Bound together by their sense of adventure, and united by their love of beer. Canadian microbreweries such as Tofino and Postmark (Vancouver, BC) are infusing their beers with everything from kelp to spruce. These breweries are discovering what makes a truly Canadian brewski. The craft breweries in Canada are not limited to traditional tastes. Canadian breweries are redefining, recreating, and reinvigorating the world of beer. This isn’t to say that Belgium’s most revered Trappists are no longer the most complex and ‘best’ tasting to connoisseurs, but Belgian beers have already reached their greatest potential. 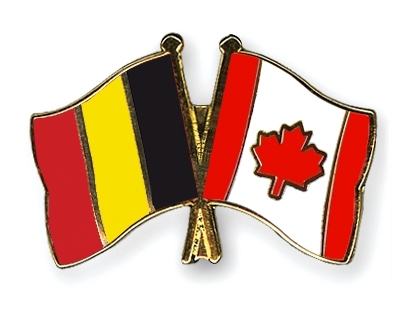 Canadian beers aren’t the best because they taste better than Belgian beers, they are the best because they represent the Canadian spirit. Our beers are the best because they embody diversity and exploration. next post: Taiwan Trip Win 2017: Social Media Jackpot!